1. To judge a good lobster it should fee heavy for its size. If it is large but unexpectedly light, it is full of water. 2. Split the lobster down the center, remove the dark intestinal vein which runs up the side of the body and the stomach at the top. Break the large claws, flake the meat and arrange this either on the lettuce and watercress or on top of the body of the halved lobster. 3. Break the tiny claws away from the lobster body and arrange these as shown in the picture as a garnish. 4. Slice cucumber and tomato thinly. Arrange on the lobster. TO SERVE: Cold with mayonnaise. 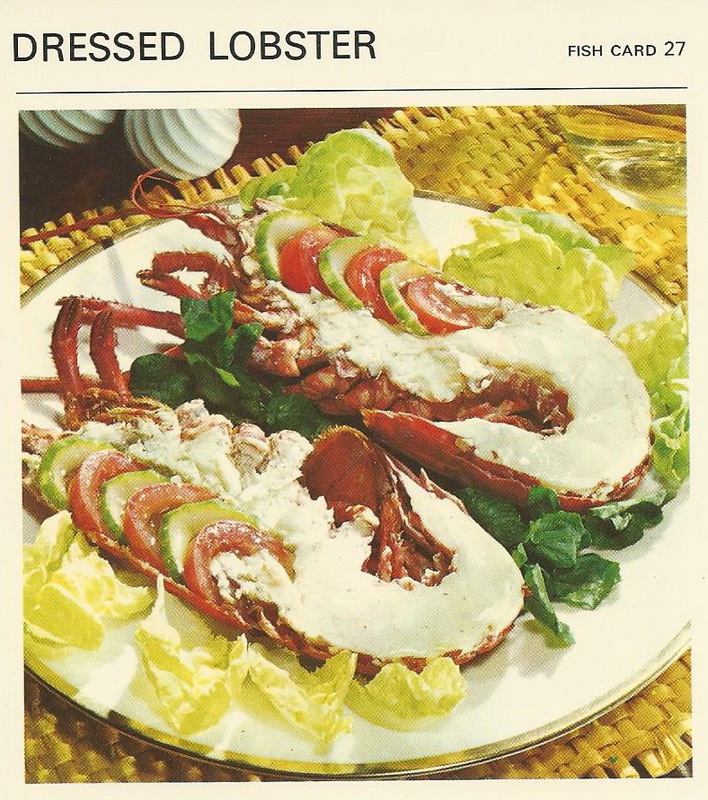 TO VARY: The lobster meat may be removed from the shell and poled neatly on the bed of salad. TO STORE: Shellfish deteriorates very quickly, so store in the refrigerator for a limited time.